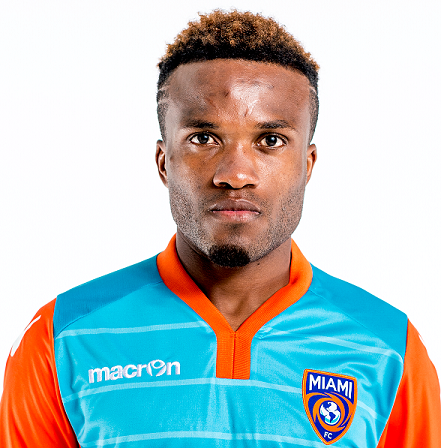 Out-of-favor Jamaica international Dane Richards has been released by United States North American Soccer League (NASL) club Miami FC. The 31-year-old Richards, once a regular fixture in the Jamaican national team, has endured a turbulent couple of seasons. The player failed to secure a consistent spot after returning to the Major League Soccer (MLS) New York Red Bulls and was subsequently sent on loan by the club to Indy Eleven. The MLS club later opted to not pick up on Richards’ option for the 2016 season. The player was then picked up by Miami in December of last year. Richards, however, managed only four appearances and failed to find the back of net on any of those occasions. On Monday he was one of seven players cut by the club. The others were forwards Roberto Alterio and Pablo Campos, defenders Joe Franco and Hugo Leroux and midfielders Wilson Palacios and Connor Rezende. Miami coach Alessandro Nesta, while thanking the players for their service stressed that it was time for the club to prepare for the 2017 season. “Today we begin the process of preparing for 2017 and our march to the playoffs,” Nesta said.